All educators are invited to the inaugural iPadpalooza GC. 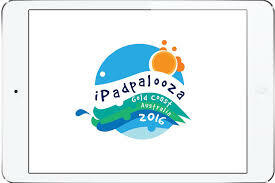 IPadpalooza is a three-day event held at St Hilda’s School on the Gold Coast, Australia. This learning festival is a celebration of the cultural-shift the iPads have brought about in education and the world. This event will focus on creativity, social collaboration, engagement and the compelling ways schools have integrated iPads into their classrooms.